As our readers know, the FCC is currently considering petitions submitted by Chattanooga and Wilson, North Carolina. Both communities want the ability to expand their ability to offer advanced telecommunications services, contrary to existing state anti-muni laws. As we glance through the comments, we notice that ISPs, advocacy groups, and local governments are not the only commenters with a vested interest in the outcome. There are also compelling stories from individuals, local businesses, and organizations that are looking for better options. In some cases they have one provider but are unhappy with the service so support municipal network expansion. In other cases, they have dial-up (or no service at all) and are maddeningly close to an EPB or Greenlight connection but state restrictions forbid service to them. "I could walk right to it - it is the closest provider and we don't have any broadband access!" Joyce submitted comments early in the proceedings. She choose to send her comments via snail mail because her email is so unreliable. For the past 15 years, Joyce and other people in her community have requested better service from AT&T. They were told repeatedly it would be 3 months, 6 months, 9 months until they would get upgrades but it never happened. They finally decided to look for connectivity elsewhere. 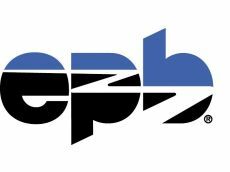 Joyce and her neighbors approached their electric provider, Volunteer Energy Cooperative, in the hopes that they could work with EPB to bring services to the area. Volunteer and EPB had already discussed the possibility, but when the state law was passed that prevented EPB from expanding, the efforts to collaborate cooled. Joyce uses her cell phone to access the Internet while she is at work. Like some of the other business owners in Cleveland, Joyce pays $200 - $300 per month because she is constantly running over data caps to conduct business. There are others who live or work in areas near her that do not have cell phone coverage. Another local business owner that runs a poultry business almost lost a large number of chicks when their alarm system, dependent on wireless Internet access through a Verizon "MiFi" personal hotspot, failed during cold weather. Joyce does not plan on expanding to an online store but she finds it difficult to adhere to state business regulations without better connectivity. For instance, she must do business taxes online from home, where she has a little better Internet access. College students drive to McDonald's to use Wi-Fi and work from their cars to do homework and projects. This situation is choking business and making our children third class citizens. I have always been for free enterprise, but when some businesses win due to unfair protection, free enterprise dies. To read the rest of Joyce's comments, visit the FCC website.